The effects of being outdoors have been well documented and evidenced for looking after ourselves and a powerful remedy for stress, anxiety and depression. How does Gardening improves the living with Mental Health problems? My own experiences of helping vulnerable people experiencing acute mental health problems has focused very much on the outdoors. At one charity I worked for, Clients could take ownership of a raised bed, growing seeds in the Greenhouse and realising their own ambitions of creating and nurturing a small patch of beautiful wild flowers or vegetables and fruit. When digging, weeding or planting, I noticed that these tasks dissipated the invasive psychotic thoughts or rambling minds that so often pre-occupied their daily lives. But more importantly, it gave them something tangible to care for and nurture, helping to ease the gaping void of not having a partner or a child to love. In the Summer months, I would take our groups outside into the garden, where we held quizzes, drawing or gentle exercise and really everybody did seem so much calmer. We would try and recall as many birds or trees, or flowers that we could in order to help boost memory, concentration and grounding in reality. At the Homeless Project I am involved with, I organised a Charity fundraiser Garden Party, involving, young people who were keen to help and put aside their daily troubles, to pick flowers from the Garden to make table decorations, and set up and run stalls, with such pride, that I know gave them a little boost of self esteem. 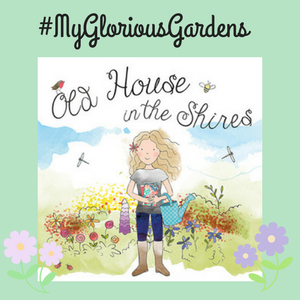 My own Garden at home has always been very important to me, from planting flowers to attract bees and butterflies, to the annual sunflower seed planting which my children started from when they were at Nursery. It is my place of calm, but also it has hosted many lovely gatherings of family and friends, children’s birthday parties and it is our dining room in the summer months. For many years we also had an allotment nearby, providing our family of 6 with a selection of seasonal vegetables including an overwhelm of courgettes in the summer months and fattening up some of the local pigeons too, who developed a particular love of our broccoli! One son is particularly noted to have commented on more than one occasion, “not more bloody leeks”. He’s been put off for life! Over the years I had not really noticed the children paying much attention to the garden or the allotment, certainly we didn’t have any joyful volunteers for digging or weeding! The bottom of the Garden was handed over to them from when they were littlies with a log climbing frame/little house dominating the most part. I took particular joy in seeing it’s use change over the years and when teenage girls were still using it for mini gatherings and sitting on its roof, watching the sun go down. But it’s in the last year, that the significance of the Garden has evidenced to me the true healing power of nature, as our Garden has worked it’s magic in helping our son recover from his Mental illness and how it has helped in restoring connection within our family. My son had a breakdown in the summer before he returned to complete his final year at University. At the time he didn’t see a future for himself and had no interest in a world outside a darkened bedroom. Fast forwarding a year or so, and now settled in employment, he has taken up Gardening and with the help of his Father, has built an allotment patch at the bottom of the garden, using reclaimed timber from the dismantled climbing frame. It’s the seriousness and thoroughness of the whole process that has most impressed me, from the research he’s done about cultivating seeds, to the natural organic forms of plant protection and the emotional investment he has put into protecting his small seedlings from the ravages of predators, from caterpillars and slugs to pigeons and cats. Everyday, he comes home from work and surveys his natural kingdom, picking off attackers one by one, re-potting and watering. This is his little bit of calm and de-stress, this helps switch off his brain, relax and unwind after a grinding daily commute. This, I hope is his buffer from his inner demons re-surfacing and taking control. He is 24 and recognises that he soon needs to move out. I hope that wherever he settles has a little space outdoors where he can nurture some plants and continue to benefit from nature’s therapy.